Hornady 148gr HBWC vs Magnus? My standard load for S&W 52 is 2.8gr BE, Zero 148gr HBWC, works great for me. Now I'm out of my supply of bullets, and so Powder Valley and any other vendor I could think of, so I'm looking for a similar bullet. Wondering if any has any experience with Hornady or Magnus 148gr HBWC - are they any good? 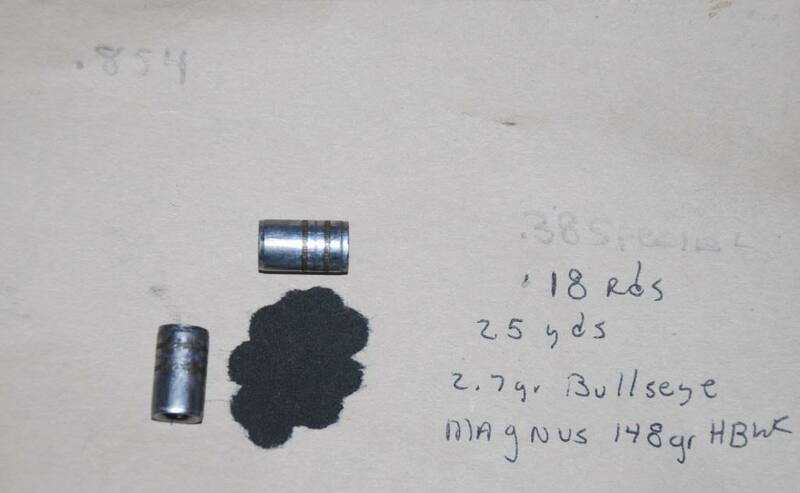 Re: Hornady 148gr HBWC vs Magnus? In my experience, Magnus bullets have been tops. I wouldn't hesitate to order from Terry Labbe. My local shop had some Hornady 148gr WCs in stock and I picked them up...I will let you know how they test in my guns. I have NOT had good results with Hornady. I have not tested Magnus. Of ALL the HBWCs I have tested, the best and the cheapest are Remington. Fantastic and so affordable. yep, Remingtons, still a Gold Std in my guns, if you can find them. just don't handle the bullet and primer with the same fingers. and, clean out your seating die every so often! james r chapman wrote: yep, Remingtons, still a Gold Std in my guns, if you can find them.